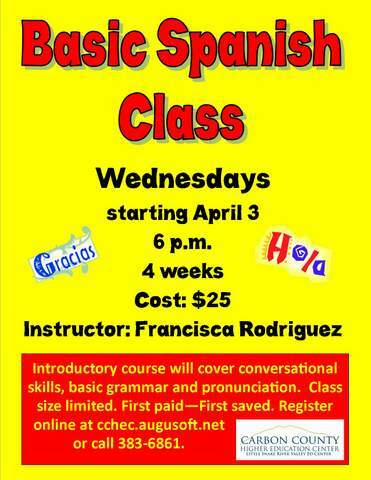 Come take Basic Spanish classes from Francisca Rodriguez. Basic grammar, pronunciation, and basic conversational skills. Days of the Week : Weekly - Wed .